I just love all those smiley faces! Our youngest has completed her elementary school education. On the first Monday of June, she had her "Continuation Ceremony". A Continuation Ceremony is basically a graduation from 5th grade. I guess they started using the word "continuation" because so many people frowned upon a "graduation" for 5th graders. The ceremony was held first thing in the morning and the 5th graders were dismissed immediately afterwards. When The Boy completed 5th Grade a few years ago, Mr. LH and I let him choose a place to go for a celebratory lunch. 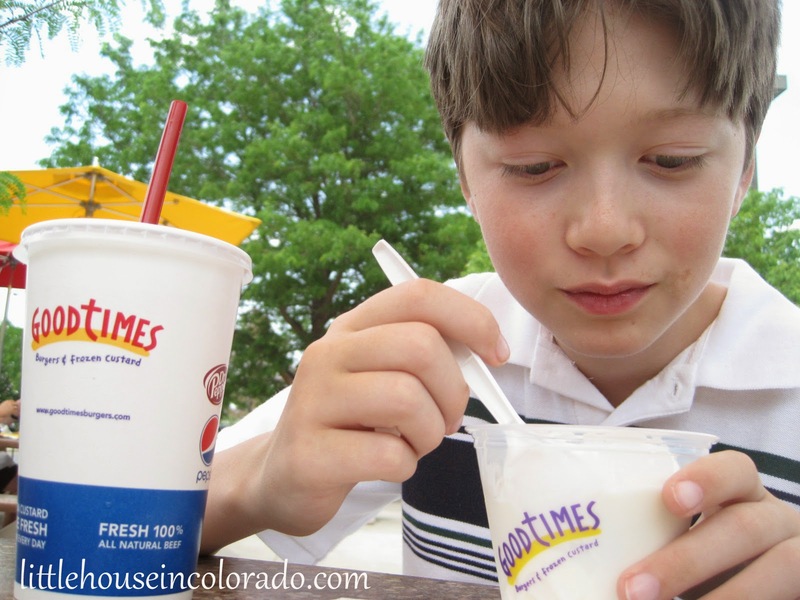 He chose GoodTimes, a place he had been itching to try ever since we moved to Colorado. We extended the same offer to The Girl for her "after graduation treat". 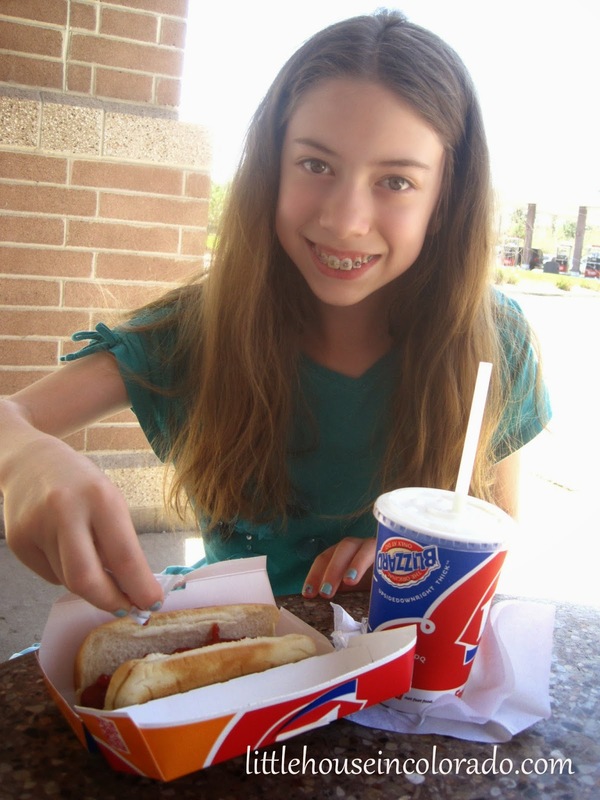 She chose Dairy Queen for a hot dog and Pina Colada Julius. I could do without the hot dog myself, but that Pina Colada Julius was so good we decided to try to make it ourselves at home. After all, weren't we already enjoying homemade Orange Julius drinks already? It took several attempts to get it as close as possible to the original, but that was just fine with us. We surely didn't mind drinking the "mistakes". Place all ingredients except the ice into your blender (I use our VitaMix) and blend on high for 30 seconds. Doing this before adding the ice helps to really to smooth out the coconut. Add the ice and blend for a full minute to make your drink smooth and frothy. Pour into glasses and garnish with a slice of pineapple if desired. Makes approximately 4 cups. * You can use 2 tsp of vanilla extract if you do not use the coconut flavor. ** You can use all coconut milk or all Half & Half or even all whole milk if you like. Using all coconut milk will make a thinner drink. Using all Half & Half makes a much thicker, frothier drink and using all whole milk makes a less thick, less frothy drink (but not as thin as if you had used all coconut milk). All versions are yummy.